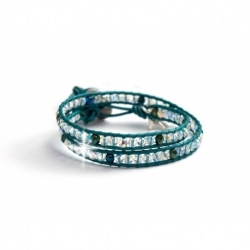 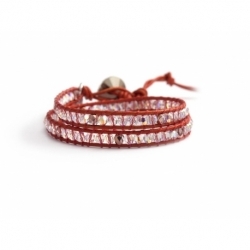 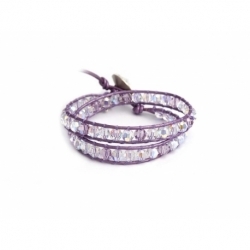 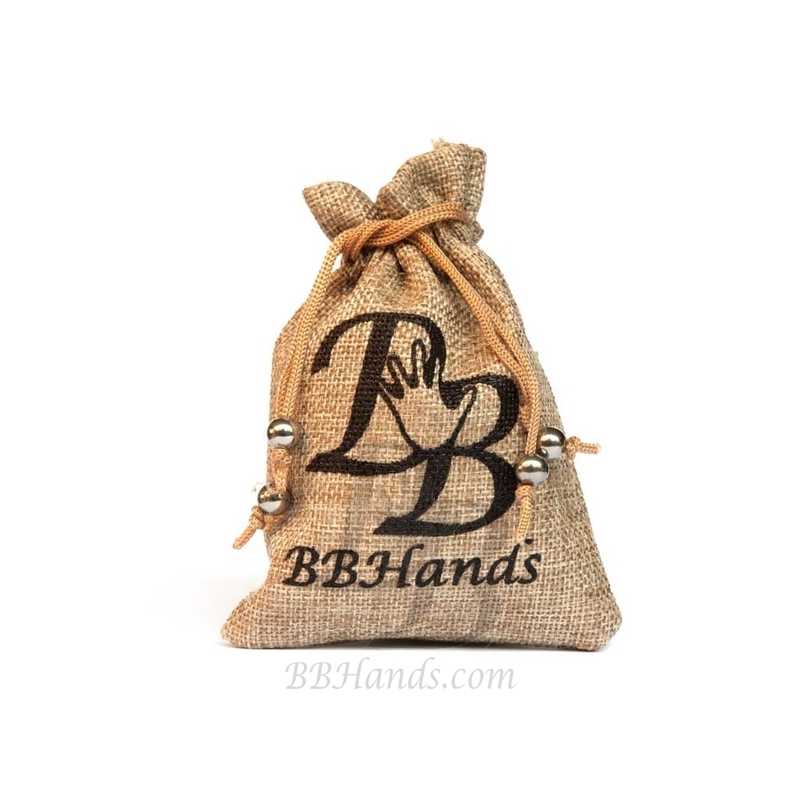 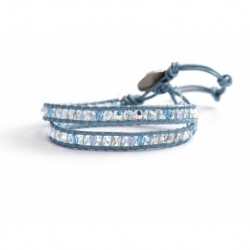 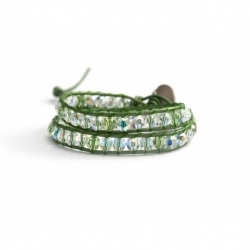 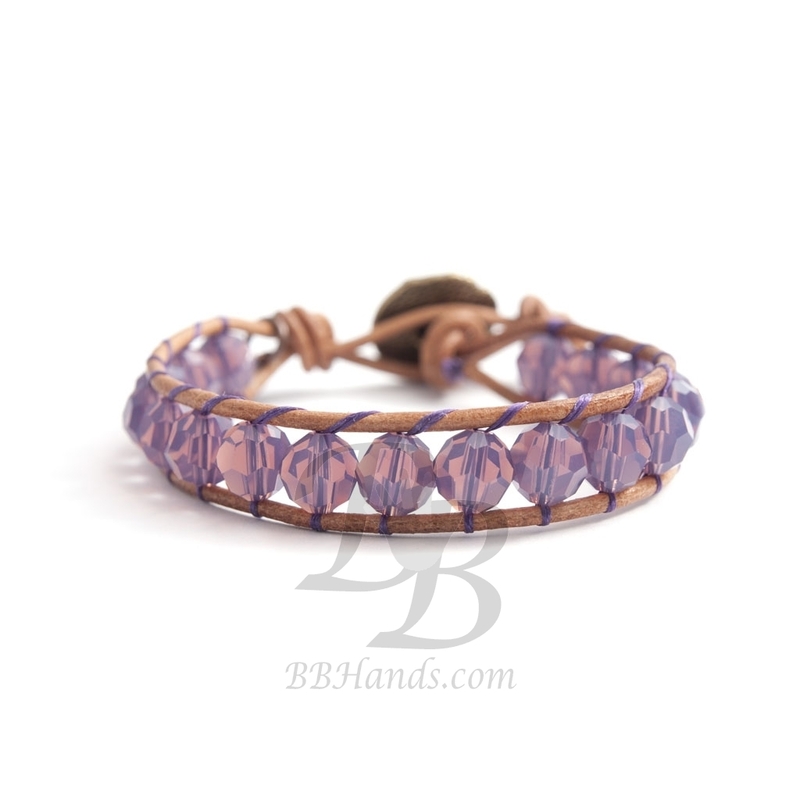 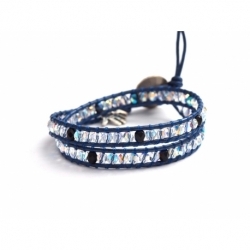 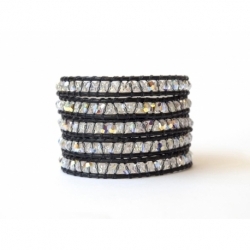 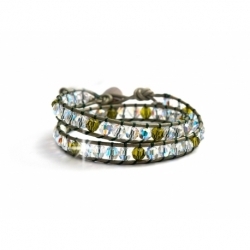 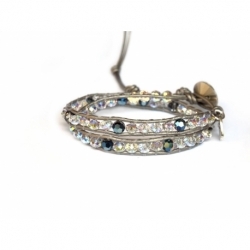 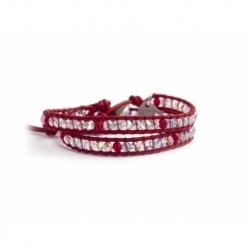 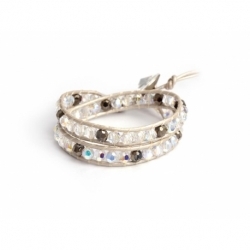 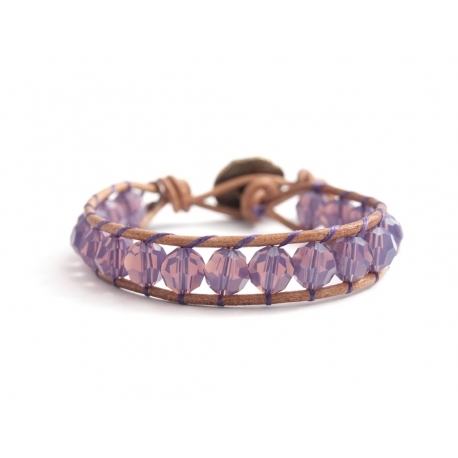 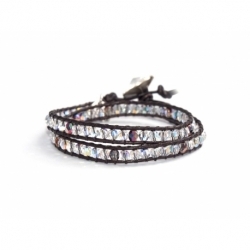 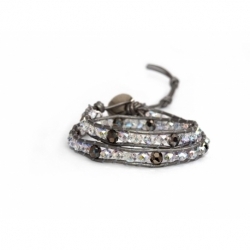 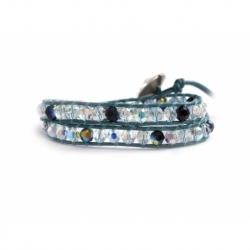 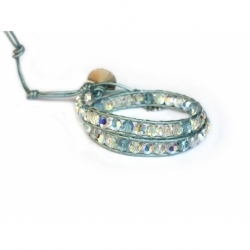 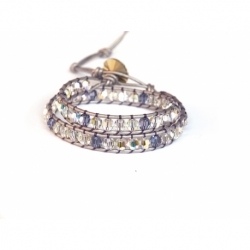 This beautiful handcrafted wrap bracelet for woman catches ligth from every angle. 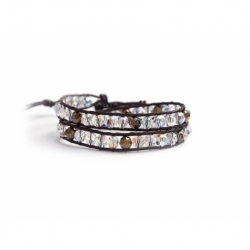 A natural dark leather stand is skillfully lined with a combination of opal cyclamen Swarovski crystals. 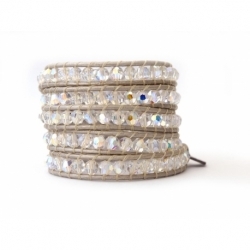 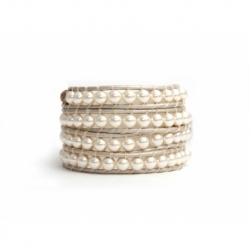 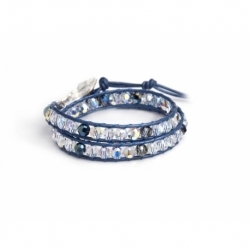 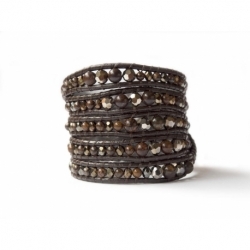 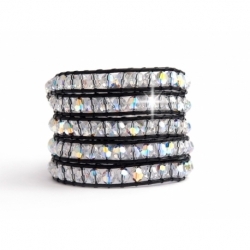 Both refined stylish, this wrap bracelet design is the perfect accessory to complete both casual and evening looks. 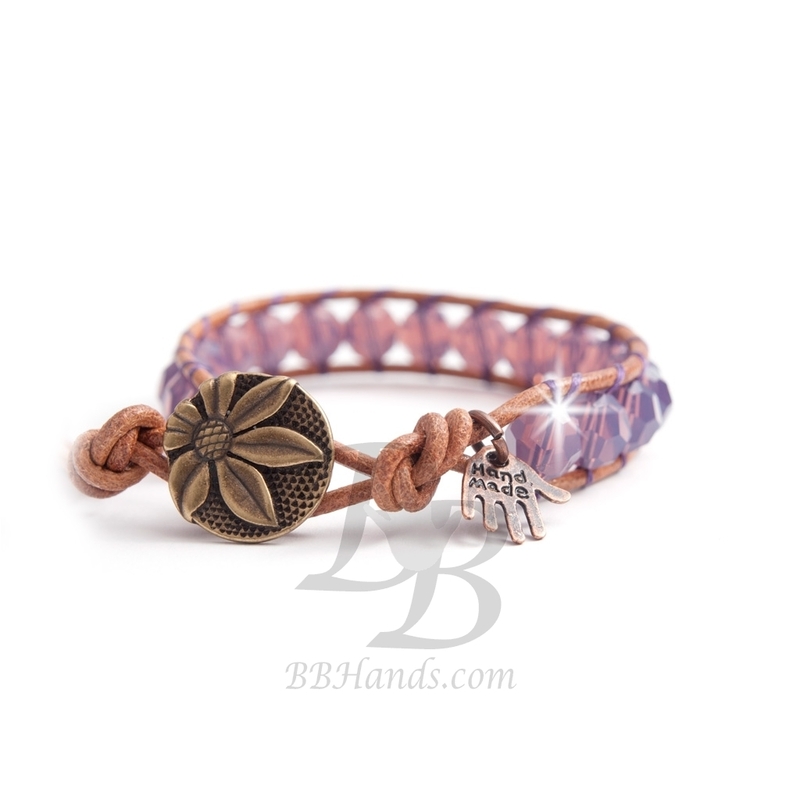 This bracelet includes a gold brass button and two adjustable leather closure for a confortable fit.